The Etretat gardens sit on top of the cliffs overlooking the iconic "Needle" rock cliff of the Etretat coast in Normandy. At the end of the 19th century the Villa Roxelane belonged to Madame Thebault, a famous French actress. She was a good friend of Claude Monet who came regularly to Etretat to paint. 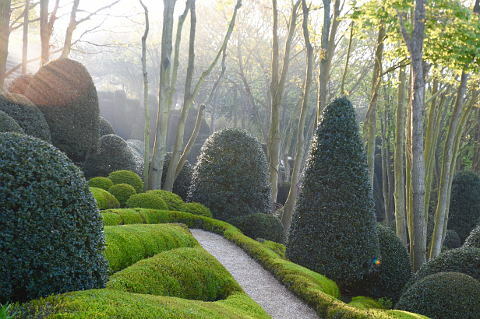 He inspired Madame Thebault to create an avant-garde garden in this idyllic spot on the clifftop. A renowned landscape architect Alexandre Grivko heard about the project and was instrumental in their design. 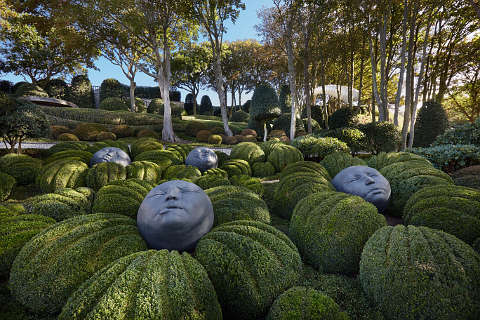 He has used the vegetation to create magnificent living sculptures and these are given another dimension with a display of Modern Art in the gardens. 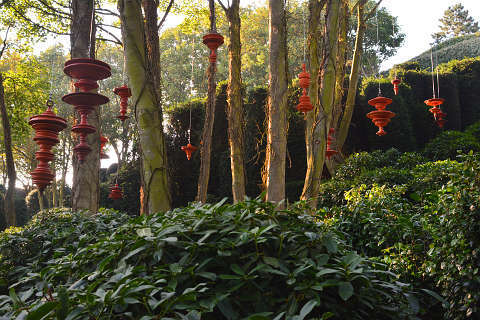 The blend of landscape art and land art sculptures makes the gardens a delight for both garden and art lovers and of course the dramatic natural landscape only adds to the drama. 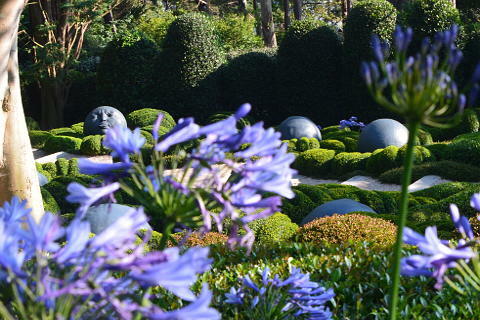 One of the best times to visit the garden is the summer when the vibrant blue of the agapanthes highlights the beautiful verdant green of the garden. Early evening is a particularly nice time to visit as the lights of the village come on whilst at the same time the sea and gardens are bathed in a soft evening light. The garden has some magical views over the dramatic rocky Etratat coast and the village below which are fabulous during the day and evening. Throughout the year there are events and exhibitions of paintings and sculpture to further animate the gardens. The lovley Villa Roxelane in typical Normandy style also adds to the charm of the gardens. There is a snack bar at the gardens where you can pause for a drink and sandwiches, pastries etc. The Etretat gardens are open all year round every day. Entrance Fees: 10.50 euros for adults, 4.50 for children (2-11) and free for children under 2s. Inland of Etretat are the lovely Jardins du Pays d'Auge with some English style mixed borders and lots of lovely half-timber buildings scattered throughout. Of course if you get the chance you should visit the fabulous gardens of Claude Monet at Giverney. Claude Monet was an inspiration to Madame Thebault at Etretat and his Giverney gardens are an inspiration to us all.